Some countries in Africa, Asia and South America have land borders where drivers must change to the other side of the road. 66% of the world’s population lives in countries that drive on the right side of the road while the remaining 34% live in countries that drive on the left side. This one could be, probably, the World’s worst driver. 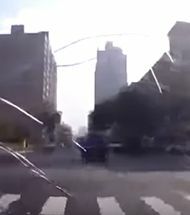 This Asian driver was caught in China hitting pedestrians, then making a run for it hitting two cars and running over a scooter driver! 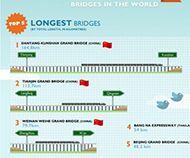 The longest and tallest bridges in the world are incredible feats of engineering and architecture. 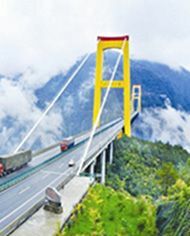 This is the list of the world’s highest bridges, ranked by the maximum distance from the road of the bridge down to the ground or water beneath. The most important rule of the road concerns which side to drive on. 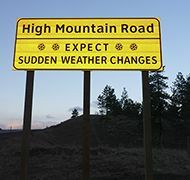 The reasons for driving on different sides of the road are historical. About a 35% of the world population drives on the left. Most former British colonies drive on the left side of the road, whereas the United States of America, Latin American countries and European countries drive on the right. Welcome to 2015. Samsung is the next company to have overlap in the invention arena. The compay’s newest invention is a television set. Nothing unusual for Samsung, a company known for its electronics, right? Guess again. 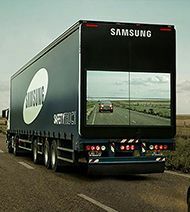 Samsung’s newest television is the back wall of a truck. According to the World Health Organization's figures, this is the list of the world's most dangerous countries to drive. If you’re thinking of travelling abroad, then you might be interested in finding out which countries are the worst for driving in. Depending on those you think are the most dangerous, the reality may well surprise you. 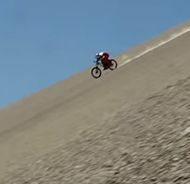 Austrian downhill rider Max Stöckl broke the world speed record for stock mountain bikes on gravel, in the Atacama desert of Chile, reaching an incredible top speed of over 167 km/h (104 miles per hour). 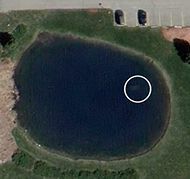 The body of Davie Lee Niles, a man disappeared on October 11, 2006 after he was seen leaving Jake's Bar in Byron Township, Michigan, has been found inside a sunken car - which has been visible on Google Maps for years. Some famous bridges are creepy suicide magnets. 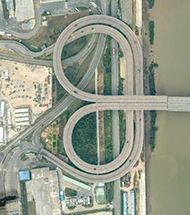 They garnered the nickname of Suicide bridge due to the number of suicides and attempted suicides since its completion. 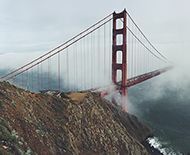 Some of the bridges in this list have been the site of hundreds of suicides, most typically by jumping off and into the water or ground below. Due this fact, most of the bridges are erecting a suicide barrier. According to the World Health Organization's figures, this is the list of the world's safest countries to drive.If you’re thinking of travelling abroad, then you might be interested in finding out which countries are the safest for driving in. Depending on those you think are the most dangerous, the reality may well surprise you. 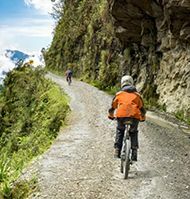 Over the past 10-20 years, as cycle touring’s popularity has taken off, so too have the numbers of long distance adventurers who have set their sights on South America. With most countries on this vast continent having transitioned from military dictatorships to democracy and freedom, South America offers a refuge from the insecurity or overcrowding that characterize much of the world today. 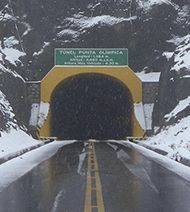 After years of work in rarefied air and frigid temperatures at more than 4.000m above the sea level, the tunnels on this list are engineering marvels sure to impress anyone. Sadly, hundreds of websites misinform about the world’s highest tunnels, claiming wrong records. What’s your favorite driving song? 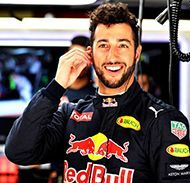 We decided to ask the stars of Formula 1 to combine their love of music and fast cars by telling us their favorite songs to listen to whenever they get the chance to hit the open road.The resulting playlist is as eclectic, exciting, traditional and fun as the F1 grid itself. 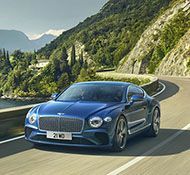 Many sports car drivers flout the law in their quest for extreme adrenaline rushes. HomeToGo and HappyCar investigated drivers across Europe to create a ranking featuring 8 of the fastest speeding offences in 8 different European countries. 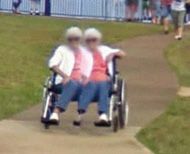 Looking close enough, Google Maps is full of bizarre moments. A two-headed dog, a magical floating limb, disappearing woman's body on the beach, people with missing heads and even half a cat, prowling nonchalantly along a street, disembodied limbs, strange distended abdomens, and even iPhones embedded in bums. 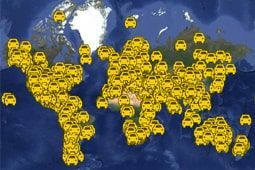 Approximately 1.24 million deaths occurred on the world’s roads in 2010. In 2010, middle-income countries had the highest road traffic death rates, at 20.1 per 100 000. In 2010, 50% of deaths on the world’s roads occured among vulnerable road users. We looked at the latest DVLA and UK Gov statistics to find the most dangerous situations on UK roads. From age and gender to left vs right turns, we’ve statistical found the most common situations for road accidents. 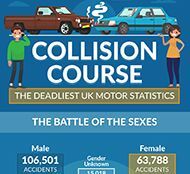 For instance- statistically, in the UK, you are most likely to have an accident as a 20-29 female, driving a car to work, when making a right turn on an urban road at a T junction. 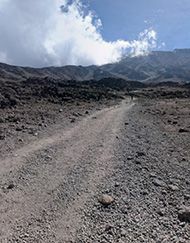 It’s difficult so say where’s the African highest mountain pass. Some sources say they should be found either in Morocco, in the mountainous East Africa or in South Africa/Lesotho. 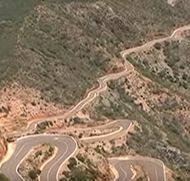 But some of these areas are still not well developed and is hard to obtain reliable information about the condition and elevation of mountain roads there. These are some of our favorite roads around the world. This will not be an objective list and we’re probably forgetting many, but... it's a good way to start. This list is not in particular order of importance/preference and isn’t meant to be a best of the best roads list. Europe is the sixth largest continent in size. It extends from Iceland (west) to the Ural Mountains of Russia (east). It’s bordered by the Mediterranean Sea to the south, Asia to the east, and the Atlantic Ocean to the West. 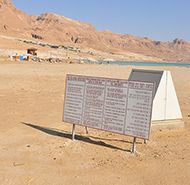 The Dead Sea (that borders Israel, the West Bank and Jordan) is the lowest place on land that’s below sea level, at 1,360 feet. But dozens of land areas of the Earth sit below current sea level. The ten places with the lowest elevations are listed below. 33 countries have land below sea level. 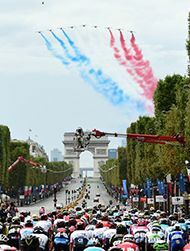 Tour de France, Giro d'Italia and Vuelta a España are the three major European professional cycling stage races. They are multi-week races (21 days) with daily stages and have more points for the UCI World Tour than in other races. The oldest constructed roads discovered to date are in former Mesopotamia, now known as Iraq. These stone paved streets date back to about 4000 B.C. in the Mesopotamia cities of Ur and Babylon. The location in the land of the Sumerian people offered fertile soil and, with irrigation, crops and livestock were raised successfully. The Sumerians used meticulous brick-making skills, forming identical mud bricks for building. After drying they would take them to the site of a temple and set them in place with bitumen. Bitumen is the natural sticky black substance in asphalt. 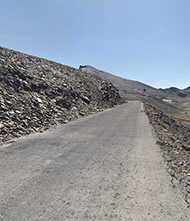 Centuries would pass before asphalt was used in Europe and America. 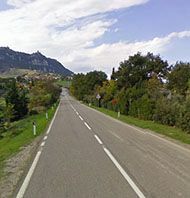 Paved roads are those surfaced with crushed stone (macadam) and hydrocarbon binder or bituminized agents, with concrete, or with cobblestones, as a percentage of all the country’s roads, measured in length. Throughout history, bridges have been significant for helping us get from one land mass to another — bringing people to places previously inaccessible. But these towering structures that rise above valleys, rivers and oceans represent far more than simply a means of getting from point A to point B, they are a testament to human ingenuity, willpower and the ability to overcome nature’s many obstacles.